Evangeline, daughter of KCCUA's farm manager Alicia, watches over her stomping ground from the top of the hay bales. often miss out on that type of nourishment. It was food writer Michael Pollan who alerted me to the lack of a food culture in America—an epidemic so severe he called it our national eating disorder. Harassed and harried, Americans are more likely than ever to rush through a drive-thru or pick up a frozen entrée. There is no nourishment in this act- it causes a hunger not just for the body, but too for the soul. The greenhouses at KCCUA are full of interesting people and budding, green plants. refugee watered her emerald-green buds next to two inner city teenagers. The day before market day, an elderly African-American man who looked as old and as wise as time washed red radishes in icy cold water while 6-year-old Evangeline Ellingsworth, the daughter of the farm manager, played at his feet. Everyone was sharing stories and smiles… and working together in the production of food. In these interactions, I saw hope for a food culture of America. That hope danced in my heart and on my tongue as I tasted the spicy watercress that was given to me on my first visit. I took a bite and realized it was just too good not to share. • And, most importantly, always pick a personal interview over a voice on the phone. After jumping head-first into a new school, new city, new job, I lost that golden rule of journalism. I lost what it meant to talk to someone face to face, and what that could do for the story. This class and the service-learning project helped me find it again. When I first learned about the farmer project, I thought it was just another crazy thing I had to add to my already overloaded schedule. No way, I thought, would I have time to interview this farmer in Kansas City. No way could this man have anything to say that I couldn’t get over the phone. No way would I visit his farm not once, but twice, and leave the second time promising to return this summer to help with the harvest. The personal connection I was able to make with Pov Huns stretched beyond reporting his story into coming to terms with the life I, and so many like me, are living. People like me let their schedule rule their life. They’re always running late, always sacrificing quality of work, and life, in the crunch of time. They’re watching their life pass without having a chance to see it, afraid that pausing for too long will prevent them from moving forward. Connect with farmers, connect with food. But that’s not what happens. When you pause, when you take time to connect with people, you get to meet immigrants from Zambia and urban farmers in Kansas City. You get to see people, really see them. And you get to learn more about yourself and your world than you ever did from inside your hourglass. This project helped me see that I shouldn’t be disconnected from anything, so I’m starting with my food. No longer will I buy green beans from the frozen section when they’re in season and grown by people I can meet and connect with. I want to know the name of the woman who grew the tomatoes in my lasagna; I want to be able to describe the man who harvested the lemongrass in my tea. I want to connect to food, to people, to my life in ways I couldn’t see before. Life is about connections; it has to be. And this service-learning project helped me see that. Without the service-learning project, I would have continued chasing after that last hour, last minute, last second. But now I see there’s more to life than making deadlines, and that there’s a physical person behind the voice who has more to say than words can tell. No way will I ever lose that again. Filed under: Energy + Climate, Food + Health, Local Events + Action | Tags: environment, Health, KCCUA, urban farming, value. I grew up less than 5 minutes from KCCUA, and didn’t realize it was there until visiting the farm for this class. My parents went to the farmer’s market sometimes and we knew the food was local; but to learn that the food was actually being grown 5 minutes from home in an urban plot of land right off the highway made me realize what a truly groundbreaking venture urban farming really is. I had barreled down the highway in my car countless times, passing by the farm unaware that urban farming was growing and strengthening its roots so close to home. Urban farming is something we can all get excited about! Getting food from the neighbors used to sound like a throwback nostalgic notion from days long ago, but now I understand that it’s the wave of the future. More and more urban farms are popping up around the country, and for good reason. Connecting with farmers and understanding the labor and the love that goes into the food makes eating so much more of a rewarding experience. When fluorescent grocery store aisles give way to people, to smiles and handshakes, to earth and the outdoors, you know something great is happening. My parents taught me the value of the dollar, but KCCUA taught me the real value of food. Instead of just being something to sustain me as I’m rushing from one place to another, food is now something worth treasuring. It’s the perfect culmination of community, environmental and health values coming together to reshape the way soceity thinks about food. I couldn’t be happier with all I’ve learned. 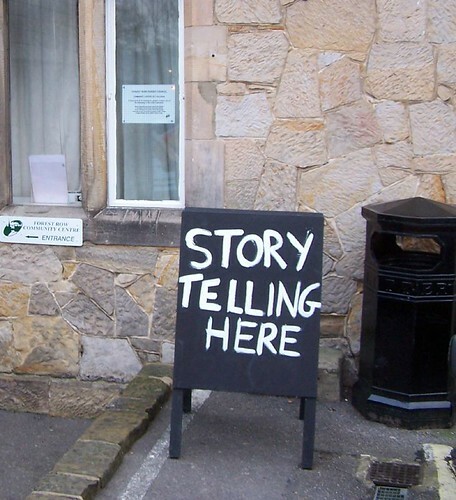 We are all essentially storytellers. As journalists, bloggers, or writers, we are all taught to consider the angle of our stories, the variety of our audience, and the credibility of our sourc es. Throughout this semester, I have learned not only to consider my role as a storyteller but that there also another storyteller amongst us: our food. The food we eat tells the stories of the farmers who grow the crops, the industries who market it, and the consumers who eat it. It is a tale of small, local markets and large industrial corporations, a tale of organics, the food bill, and eating trends, a tale of the gluttons and the hungry. Working with KCCUA, talking with the passionate farmers who are writing a new story for food, has opened my eyes to a lifestyle that offers an alternative to the chemical, polluting, and monocultural. This experience has been a life-altering one. I can say with absolutely certainty that I will never view my food in the same light again. The farmers of the KCCUA farm tour have helped me understand the human aspect of the food we eat. An apple is no longer just a round piece of fruit, but as a result of our food choices also a representation of what we value, whether it be our local community, our environment, or our health. Before meeting these farmers and gardeners and he aring their stories, I too suffered from a severe case of food disconnect. I never realized how deep, how enjoyable and spiritual, our relationship with food is. I find myself lucky to have had the chance to write for KCCUA, to be a storyteller for these farmer’s extraordinary lives. 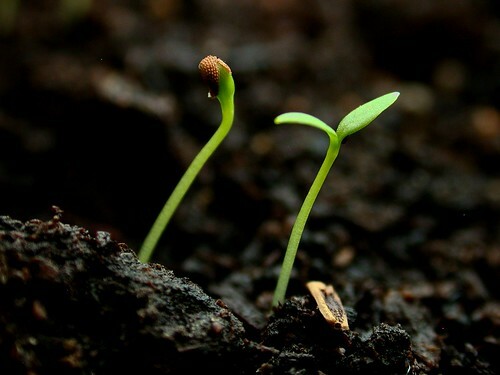 Like the seeds that they so carefully tend and nurture, a seed of knowledge and awareness has been planted in my own mind, one that I can only hope to plant in others as well. Working with the KCCUA has been a real eye-opener for me. Honestly, I was pretty ignorant of the whole urban agriculture movement. Once upon a time, I read somewhere about some good people growing good food in a city. It didn’t seem to resonate with me then. But visiting these farms and talking with those involved has changed that. I had no idea there are so many different types of urban farms, so many cultivation techniques, and so many people benefiting from this congregation of growers. Urban farming isn’t just about “some good people growing good food in a city.” It’s people rising above the set standard for decent living, it’s people going beyond the average perception of responsibility. Urban farmers are stewards to the earth and their community. They feed, heal, educate and lift up those around them. And they work incredibly hard. On any given day there are countless elements working against the urban farmer. April snow showers, toxic neighbors, ravenous deer, politics, a lack of funding, resources and land, to name just a few. The farmer must adapt, constantly evolve, to suit present conditions. I’ve also learned that access to fresh foods can change people’s lives. 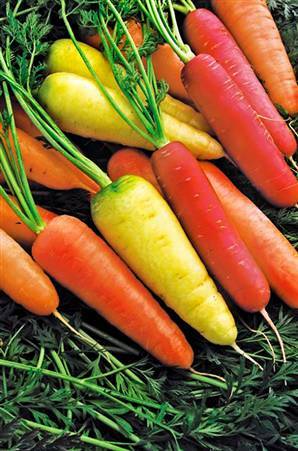 There are kids living in the Midwest who have never eaten a fresh carrot. There are whole neighborhoods that must shop for groceries in gas stations. And thanks to the agrarian warriors of the KCCUA there are now kids who love to grow and eat produce of every variety, spirited markets held in a church parking lot, and an influx of satisfied appetites in the neediest of neighborhoods. Every summer, my parents would ship me off to camp near Little Grassy Lake, in Illinois. The beach there was small and silty, with one dirty old port-a-potty and an ancient wooden dock. The water was a distasteful shade of brown. It was cramped, hot, and uncomfortable. I hated it. Simon argued that inhabited regions across the world are coming face-to-face with shortages of life’s most essential resource: water. Cities like Tucson and Las Vegas could spring up in the American West because people dammed rivers and diverted water into their system. With recent patterns of climate change, though, these rivers have begun to dry up, and left desert cities high and dry. In China, the most populous nation on the planet, consumption is increasing even as farmers cope with the worst nationwide drought in half a century. And, closer to Europe, the Aral Sea loses 60 square kilometers of water each year. And for some reason, as a kid, I hated my lake! Later, I found out that Little Grassy Lake is one of the cleanest bodies of water in Illinois. I learned to swim there, I learned to canoe and kayak on it, I spent countless nights down on its beach looking at the stars. Over the years, that lake became my closest connection to nature. Paul Simon was right. Water is more than a natural resource. It’s a gift, and it’d be a crime to continue wasting it. Justin Leverett is taking shelter from a rainy day.